Patterns created by Nature join up with solid geometry in Sunpan’s Madero Rectangular Dining Table. 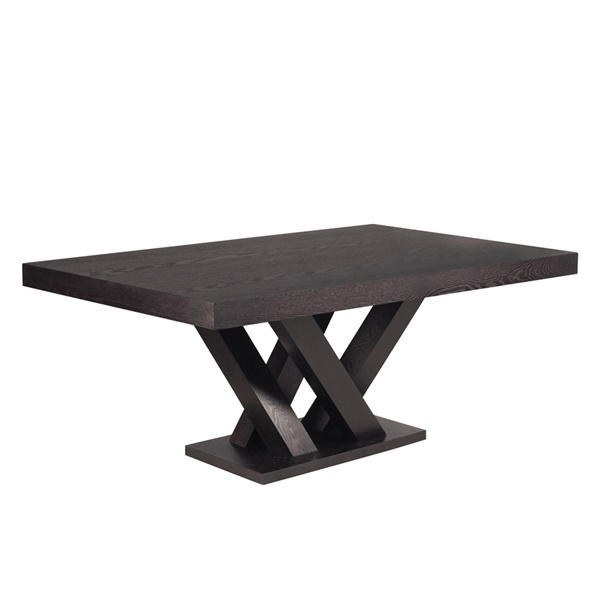 Besides being comfortable dining space, this table will intrigue from every angle when seen across a room. The proportions of rectangular top and base are handsome, but the flourish comes with square-cut uprights that lean, angle and cross like multiple trunks of a big tree. Every part is solid hardwood veneered with an espresso finish.